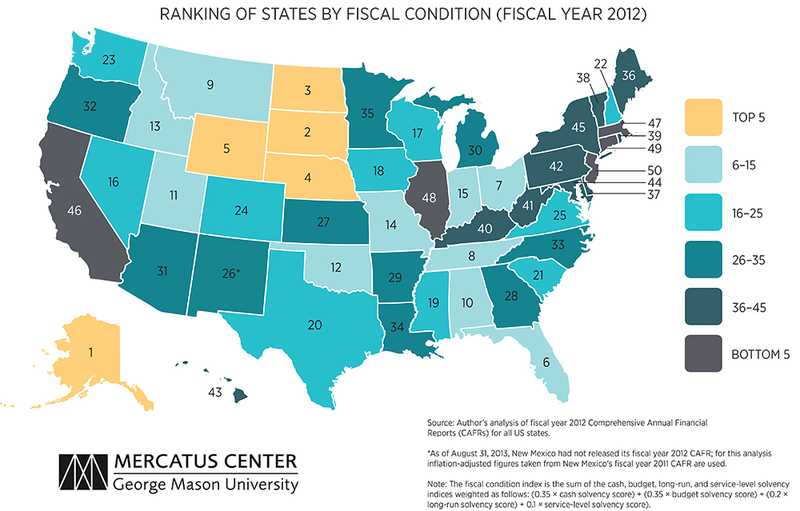 Sarah Arnett at the Mercatus Center has put together a number of interesting maps ranking the fiscal condition of the 50 states by various indices such as cash solvency, budget solvency, long-run solvency and service-level solvency. She also has a map that combines her four indices to provide an overall long-term ranking of states by fiscal condition. Access it here. Detect a pattern?… Just thought you might be interested.